The Google Code-­in contest gives students around the world an opportunity to explore the world of open source development. Google not only runs open source software throughout our business, we value the way the open source model encourages people to work together on shared goals over the internet. Give it a try from December 7th, 2015 to January 25th, 2016! Participants complete “tasks” of their choice for a variety of open source software projects. Students can earn t-­shirts, certificates, and hooded sweatshirts for their work. Each software project will name two students as their grand prize winners and those students win a four day trip to in Mountain View, CA, USA in June 2016. This year students can work with 14 open source organizations: Apertium, Copyleft Games Group, Drupal, FOSSASIA, Haiku, KDE, MetaBrainz, OpenMRS, RTEMS, SCoRe, Sugar Labs, Systers, Ubuntu, and Wikimedia Foundation. Over the past five years, over 2200 students from 87 countries completed at least one task in the contest. This year we hope to have even more students participate globally. Please help us spread the word and bring more students into the open source family! Visit g.co/codein to learn more about the contest. For even more information and contest updates, read our Frequently Asked Questions, follow our blog or join our mailing list. 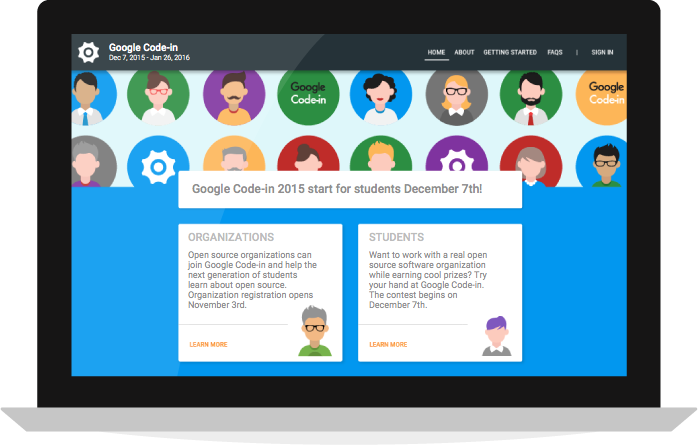 The Google Code-­in contest starts on December 7, 2015! Monsoon Grey posts an update on the school pilot in Goa, about a lesson in Turtle Art, with a photoset by intern Bindi Dharia. 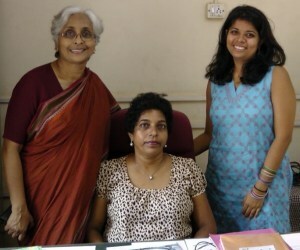 Harriet Vidyasagar, who helped get the first school projects in India underway, continues to support the project. The team writes about the new activities they have installed for all of the students this year, including “I Know India”, and the workshop they organized for new teachers for the coming year. The idea draws upon mobile libraries (bookmobiles) for its inspiration, which first appeared in Victorian times. The implemented technique works by building on the mesh network that is instrumental to the XO-laptop approach. To use the technique, on each portable XO-laptop a version of Greenstone is installed, allowing the owner to develop and manage their own set of books. The version of Greenstone has been adapted to support a form of interoperability we have called Digital Library Talkback. On the mesh, when two XO-laptops “see” each other, the two users can search and browse the other user’s digital library; when they see a book they like, they can have it transferred to their library with a single click using the Digital Library Talkback mechanism. Alas, you need to be an ACM member or pay $15 to read the full paper. A Sugar buildbot is now online. Turtle Art Mini and to Measure have recent updates. And Sugar localization is ongoing in Quechua and Aymara, and starting in Maori.